Walt Disney famously said, "Disneyland will never be completed as long as there is imagination left in the world." In San Francisco, the Walt Disney Family Museum is taking a similar approach. 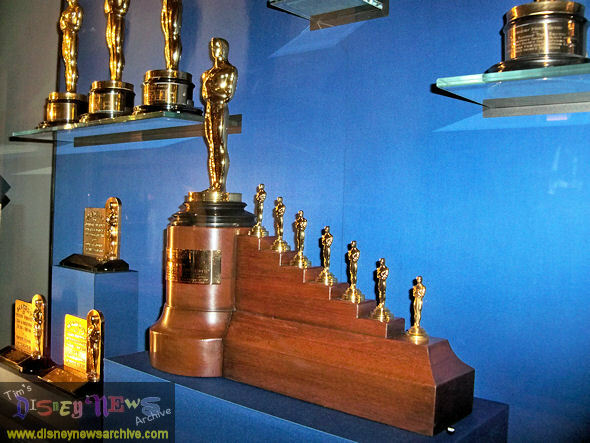 It continually tweaks things--adding additional seating here, moving a display there--to improve the appearance and flow of the ten galleries that trace Walt's life from his humble Midwest beginnings to his perch atop an entertainment empire. "We've done a few very minor changes," says museum executive director Richard Benefield. 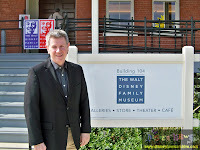 And many of those changes have come at the direction of the museum's co-founder, Walt's daughter, Diane Disney Miller. "She's so much like her father," says Richard. "She knows how things have to be presented really in a high-quality way." Presentation is everything at the museum, with multimedia screens, listening stations and hands-on activities working side-by-side with the carefully preserved artifacts of Walt's life. I visited earlier this month as the museum was celebrating its first anniversary and had the opportunity to speak with Richard in person and catch up on the developments of the past year. Business has been brisk, but not overwhelming, with just over 120,000 people visiting in the last 12 months. "It's not as much as we thought it would be," says Richard. Still, the museum has uniquely established itself as a destination museum attracting Disney fans and historians worldwide. "Just a little over fifty percent of the total visitorship comes from the Greater Bay Area," says Richard. The rest come from elsewhere. "There are a lot of people making a pilgrimage here." The museum benefited in September from a free "Museum Day," a nationwide program put on by the Smithsonian Institution that brought a capacity crowd of 1,402 visitors to the museum in a single day. Movie screenings and educational events have also been driving traffic. Summer camp programs were introduced earlier this year, giving kids and teens the opportunity to try their hands at digital animation, sound design, pencil animation, claymation and stop-motion photography. The museum also stepped up its Internet presence, launching its Storyboard blog over the summer. 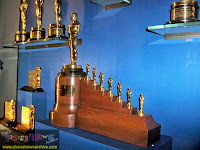 The blog shares fascinating insight into Disney history and museum activities. November 18 is Mickey Mouse's official birthday and he'll be in the spotlight throughout the month with museum screenings of his classic cartoons, including Steamboat Willie and The Band Concert. On November 13, Vincent Vedrenne with the Walt Disney Company will give a presentation on the Evolution of Mickey Mouse. Original Mickey Mouse Club Mouseketeers Bobby Burgess, Sharon Baird and Cubby O'Brien will be on hand November 20 to share their memories of working for Walt. In December, the museum will bring back its popular film Christmas with Walt Disney, a compendium of winter-themed Disney cartoons and rare holiday footage of Walt at the studio and with his family. The film was produced by Don Hahn (Beauty and the Beast, The Lion King), who has become a good friend of the museum. Hahn compiled material for this weekend's HallowScreen presentation of spooky Disney cartoons and reportedly has a documentary about legendary Disney artist Mary Blair in development. Between its special presentations and detailed exhibits, the Walt Disney Family Museum has committed itself to give the most accurate account of Walt that it can. Again, Richard gives much of the credit to Diane. "She wants to get the story so right that she doesn't even trust her own memory on a lot of things. She's always willing to consult with the other experts like J. B. Kaufman and Jeff Kurtti and other people at the company to make sure everything is exactly right." For ticket information and a full calendar of museum events, visit www.waltdisney.org.